The Gang Show "Three Cheers" is a fixed feature in the Marple Calendar (mid-end March). It brings together the talents of the Scouts and Guides within the eight senior Marple Units who are supported by a large team behind the scenes. 2019 is its 55th year. The 11-19 year olds (+ a number of their leaders) rehearse intensely over a 12 week period to bring this professional show to a wide audience at The Carver Theatre. This 160 Seat venue is situated on Church Lane in Marple; the performances are usually a sell out. 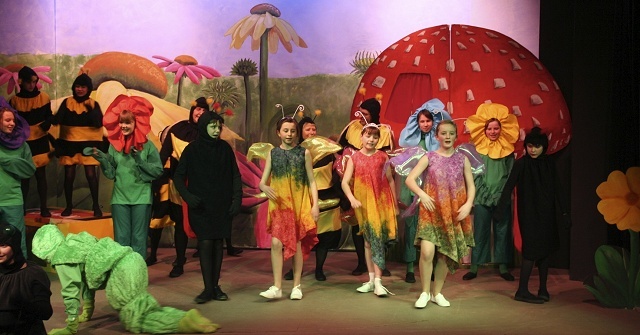 Hence 2008 saw the introduction of a 2nd Saturday Matinee performance in order to satisfy ticket demand. The first Marple Gang Show was in 1965 when Scouters and Guiders were asked to put on an entertainment for Marple Senior Citizens at the Parish Hall (now demolished) on Chadwick Street. After this performance the show was taken to The Carver Theatre for the benefit of friends and family. Since then, this gem of a venue has hosted the show on an annual basis. The show consists of musical items interspersed with sketches. Traditionally, it features a large cast of around 85 members. The backdrops & sets especially created & painted by members of the team. All in all around 2,000 different items of costume are sourced each year along with many unusual props - an organisational feat in itself! 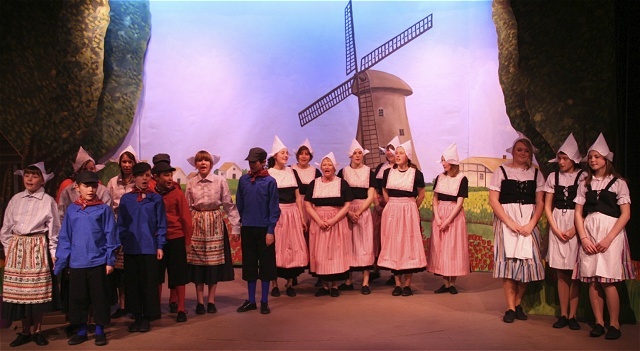 Over the years, many Marple families have been involved with the show; cast members have been known to follow in their parents (or even grandparents) footsteps as a part of the Gang. The reputation of the show stretches far and wide. Other Gang Show casts travel many miles to see the show which is the only Gang Show in the entire country that is produced by a Local Group (as opposed to District or County) that has been awarded the coveted "Red Necker". This National Scout Award is presented only to those Gang Shows of quality and structure similar to those first produced in professional London theatres by the late Sir Ralph Reader from 1932. The shows have been reassessed regularly. In 2019, the Marple cast will proudly display the Red Necker for the 41st consecutive year. All in all, the Marple Gang Show is a well established and celebrated Marple Institution, to quote a member of last year's audience: "By the end of the show you really feel as if you are 'Riding along on the Crest of a Wave'!"